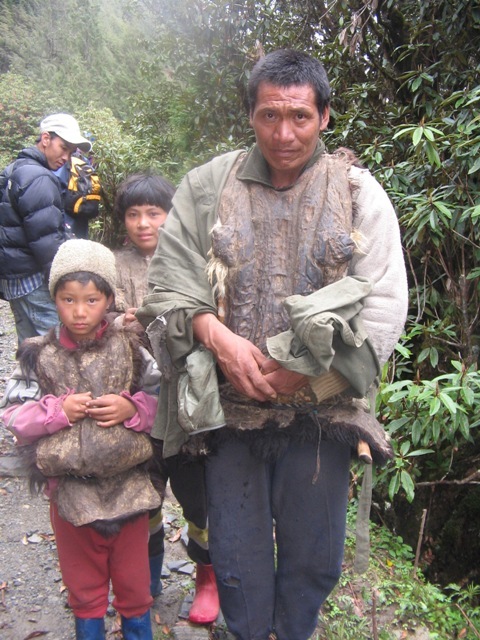 Merak and Sakten valleys in Bhutan were closed to foreigners until 2010, to protect the unique cultural heritage of the Brokpa people and in part to give the mythical Yeti some peace, whose tales of wandering in the valley is very popular among the locals. 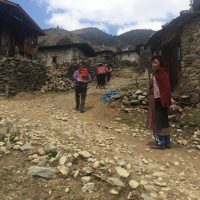 Until then, only a handful of researchers and tourists have been granted permission to enter this area, and even today, only few trekking groups make it to this remote region in Eastern Bhutan. 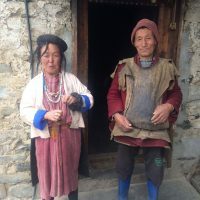 This short trek introduces these isolated valleys of Merak and Sakten (pronounced or spelled as Sakteng) and the Brokpas who are re semi-nomadic Yak herders that speak a unique dialect, wear different dress, including a Yak-hair hats with spidery tentacles. 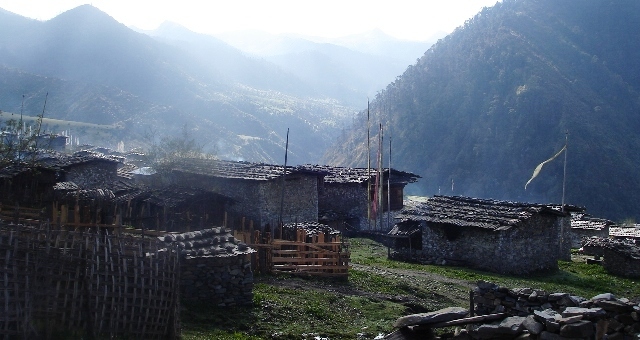 The region is a part of Sakteng Wildlife Sanctuary, one of nine protected areas in Bhutan, typical of the diversity of Himalayan terrestrial ecosystems, combining alpine meadows, temperate forests and warm broad leaf forests. With the introduction of dirt Farm road in 2016, Merak is no accessible by 4WD off-road vehicle and the road to Sakten from other side is also progressing. So now, you need to trek only between Merak to Sakten and a short distance from Sakten till the road head. 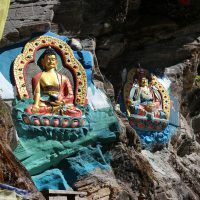 Combined with this introduction to Merak and Sakten, the journeys takes in Eastern Bhutan, and travel westwards to cover the highlights in the valleys of Bumthang, Punakha, Thimphu and finish up in Paro with the hike to Takstang (tiger’s nest monastery), quintessential Bhutan travel experience. Arrive in Guwahati airport in Assam, India. 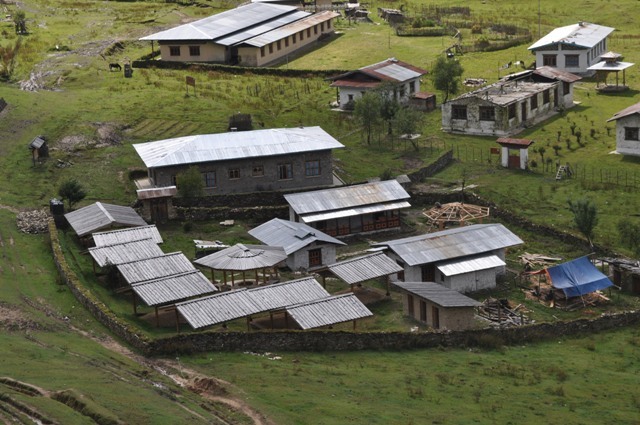 Meet and drive to Samdrup Jongkhar, a frontier town in southeastern Bhutan (3hrs). 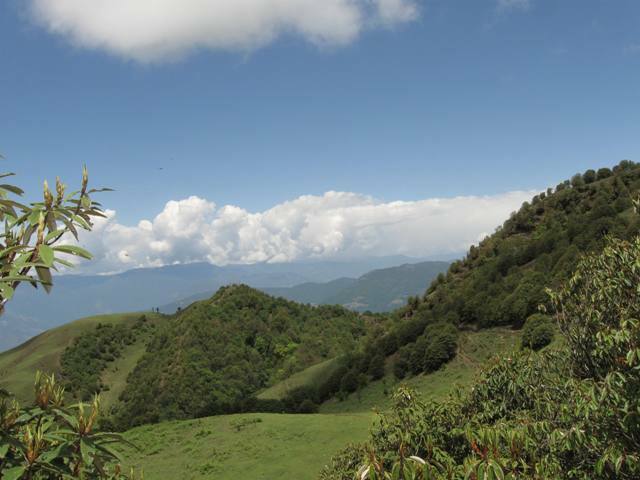 Along the way, you will pass through many rural towns of Assam, tea estates and rice-fields. 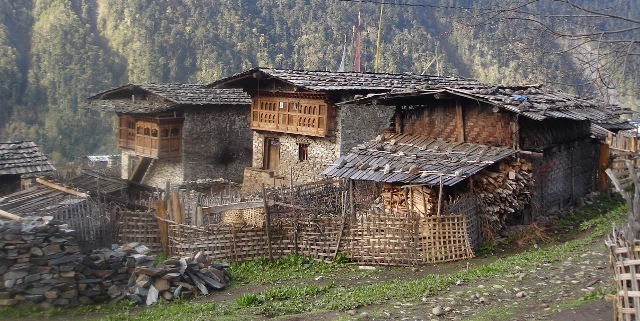 Enter Bhutan and stroll around small township of Samdrup Jongkhar. 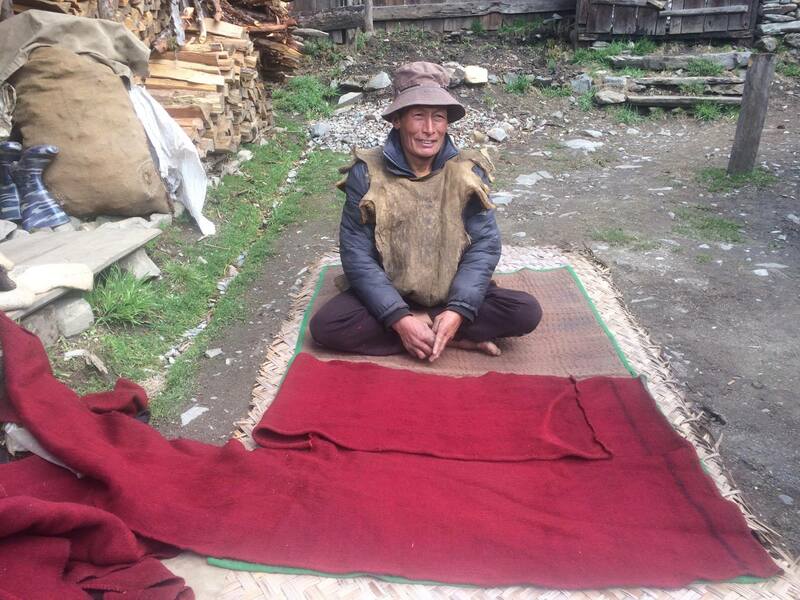 People from remote areas of Eastern Bhutan come down here for trading. Overnight in best available hotel. After an early breakfast, begin a long drive north to Trashigang. As the road ascends, we pass through a variety of vegetation zones in the Himalayan foothills. Looking back we should get a distant view of the Indian plains. The roadside is rich in plants including ferns, rhododendrons and primulas and we will pass though many small villages. 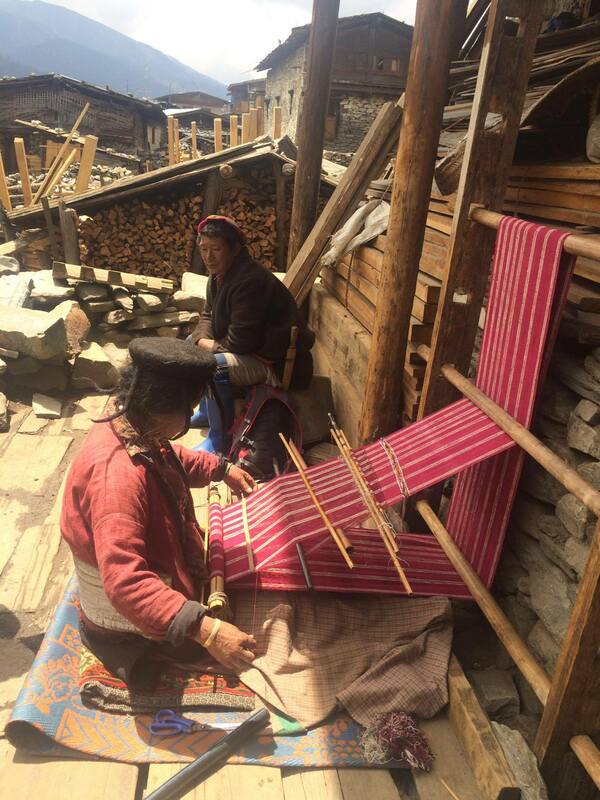 If possible, we will stop in some of them, including a stop at a local weaving center in Khaling. 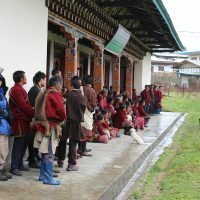 Upon arrival, visit Trashigang Dzong which houses the monastic institute for monks and administrative center for the district. Overnight in hotel. 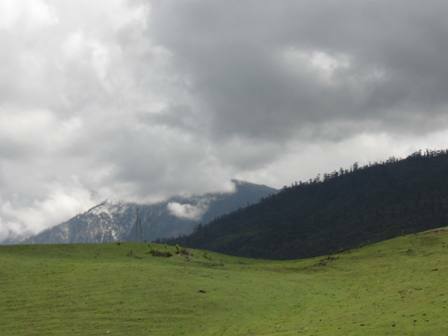 From Trashigang, a short drive brings you to Ranjung (small town). 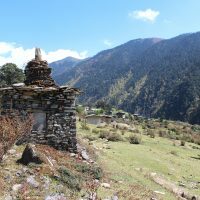 Continue up the hill with terraced rice paddies to Radhi village, from where new cut dirt farm road starts towards Chaling village and continuing on, road snakes uphill towards Shaktimi meadow, with yaks and sheep grazing with some yak herders’ huts scattered on the hillside. 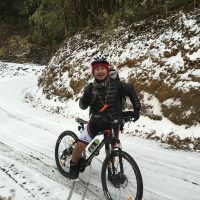 Continue the climb to reach Mendula Pass at 3345m. 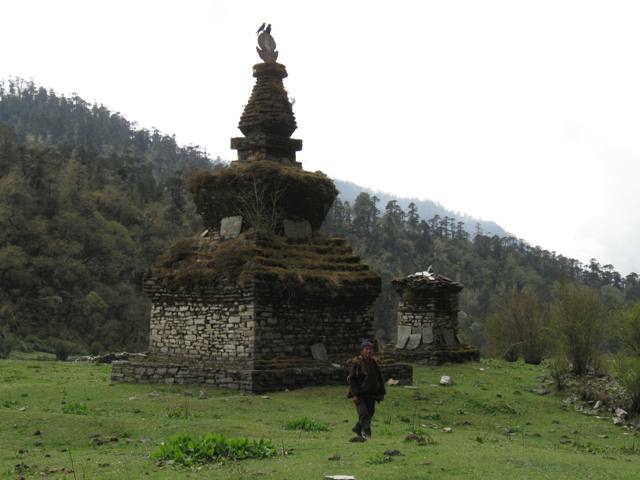 After the pass, it is downhill through the rhododendron forests, and meadows of Donmong chu by the river at 3145m. 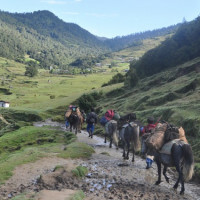 The dusty, rocky farm road continues up the valley, gradually gaining height through the rhododendron forests and shrubs and arrive at the first village Gangu (3430m) and and 15 minutes later arrive in large Merak village located at an altitude of 3520m. 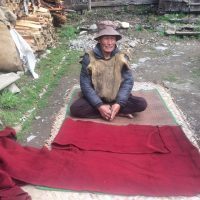 Overnight in tent camp, Home Stay or local Guest House as available. (Approx 6 hrs drive). Approx. 16km, 6 hours, 630m ascent and 1090m descent. Today, we begin the journey on foot. It is a relatively hard, as it crosses high pass and there are also a few smaller passes and ridges. 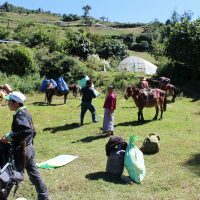 Start early from the camp, towards the east with a gradual climb to the first pass at 3900m, from where you can look back for a last glimpse of Merak valley. 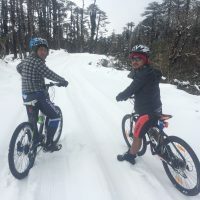 Continue thereafter along the tree line with juniper and rhododendron forest on one side till we reach Nachungla Pass at 4150m. 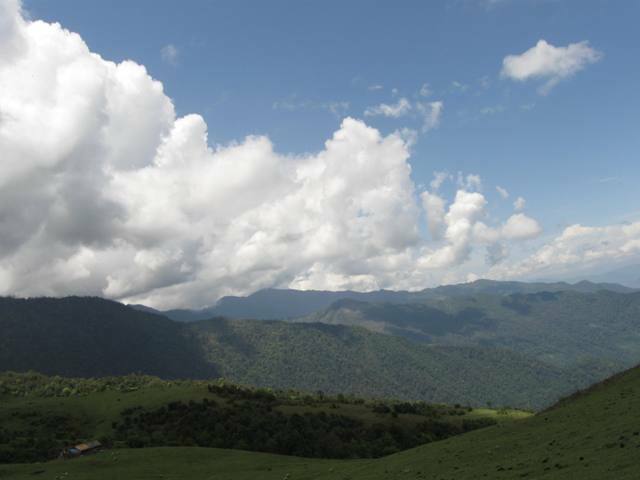 The views are incredible and endless, 360′ view with peaks of Bhutan, Arunachal and Tibet. 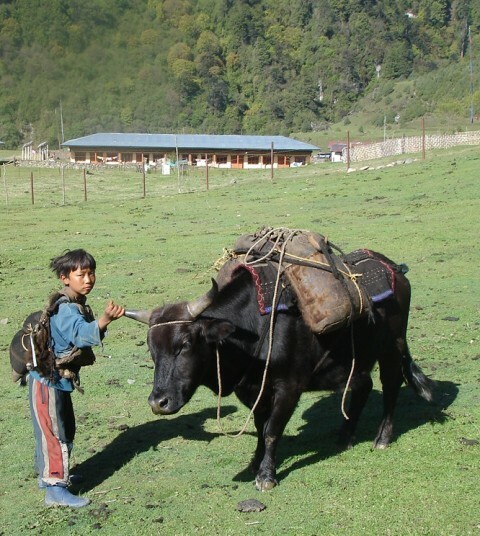 Occasionally, you will come across Yak herders in their camp, and frequently we see caravans of yaks and horses along the trail. 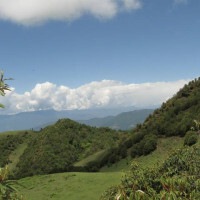 From the pass, it is a long descent to Miksateng campsite at 3060m. Overnight in tent camp. Approx. 6.5km, 2-3 hours, 81m ascend and 310m descent. Todays’ trek is an easy one. After breakfast, drop down to the river and after crossing it, follow the river basin for an hour. 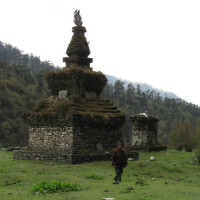 Than gradually make a climb towards a small pass with a small chorten (stupa) on the hill overlooking the Sakteng valley. From the ridge, we drop down to the valley, cross the river into Sakten village. We should arrive before the lunch time, allowing plenty of time to explore the area. The area has cell phone towers and electricity since 2012. 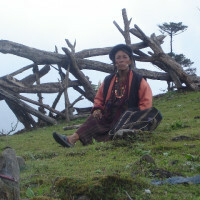 Overnight in local home, camp of simple Guest House (Altitude of 2950m). The new farm road to connect Sakten is approaching fast. 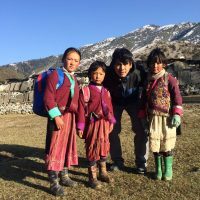 At the time of planning this trip, it took around 3hrs trek downhill from Sakten to the road head from where our vehicle can meet and drive you Trashigang. 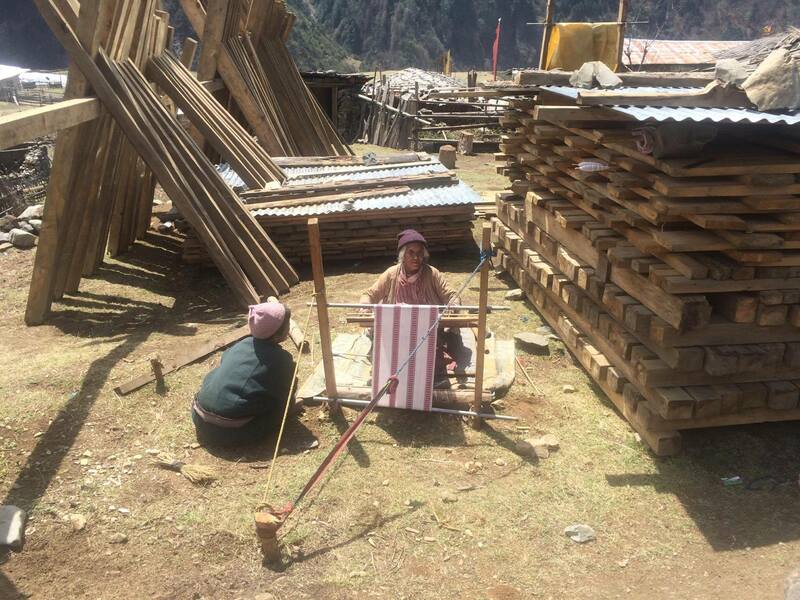 The drive is around 2+hrs till the tarmac road and thereafter it is another 2-3hrs to Tashingang. 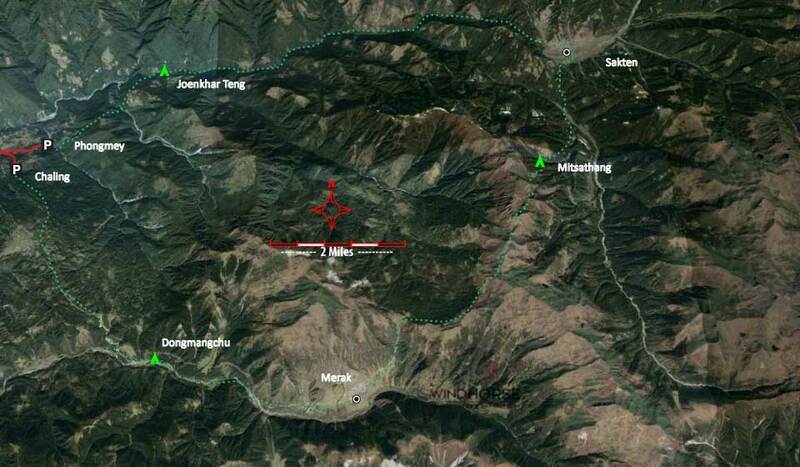 This road takes you via Phongmey and Radhi, crossing acres of rice-fields to Trashigang. Overnight in the comfort of modern hotel. After breakfast, drive to Mongar town, which takes about 3-4hrs. 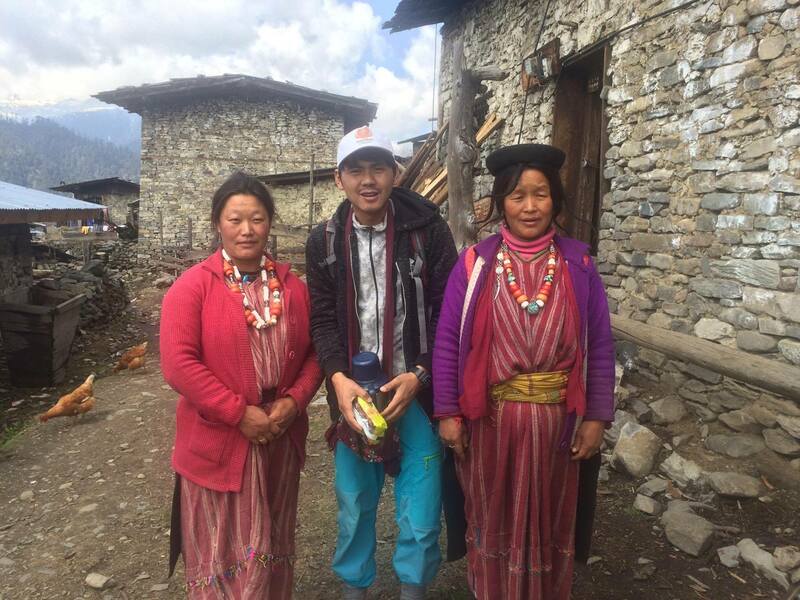 Lunch and spend sometime visiting Mongar. Then continue drive for another 2+ hrs to Yongkola, which will help to cover next days’ journey. 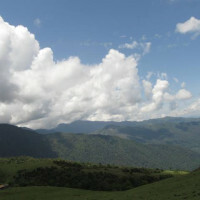 At the same time, the areas around Yongkola is well known for being one of the best birding spots. You will find birds and langurs from sub-tropics and temperate forests. Overnight in a pleasant lodge. 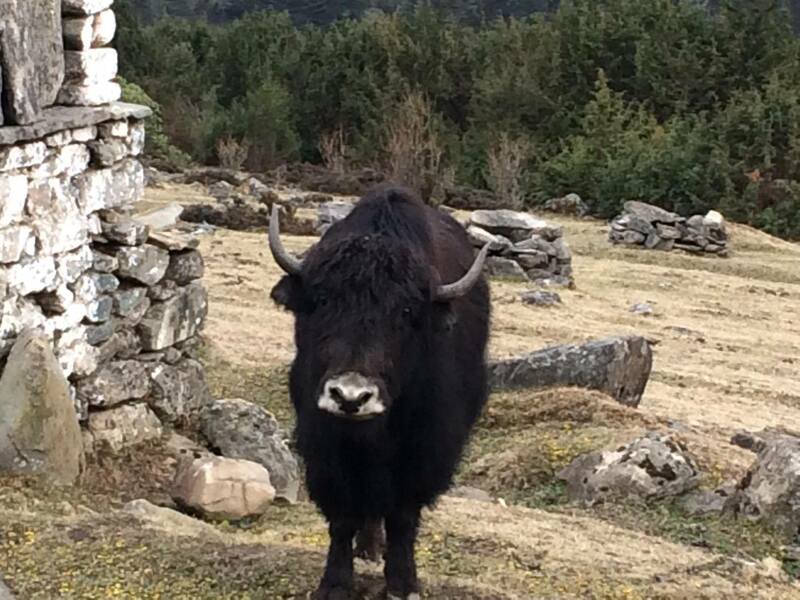 Begin a spectacular drive to central Bumthang, across Thrumshingla National park, through ever changing vegetation and landscapes, rich in bird and other wildlife. 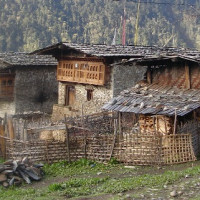 We also pass through many small hamlets and villages along the way and we will stop to visit few of them, arriving in Jakar by afternoon. Overnight in hotel. After breakfast, begin a long drive to Punakha. 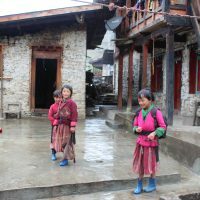 From Jakar, cross into Chumey valley, then across Yontongla pass, we arrive in Trongsa, where we stop to peek at the impressive Trongsa Dzong (fortress/monastery). 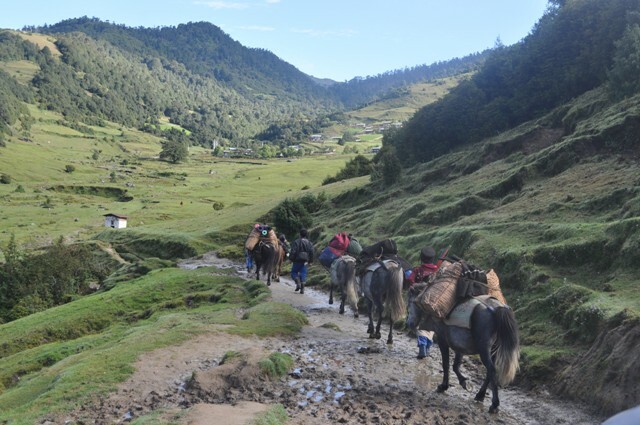 Traverse Pele la pass (through Black mountain national park) and descend into semi-tropical Punakha-Wangdue valley. Overnight in hotel. 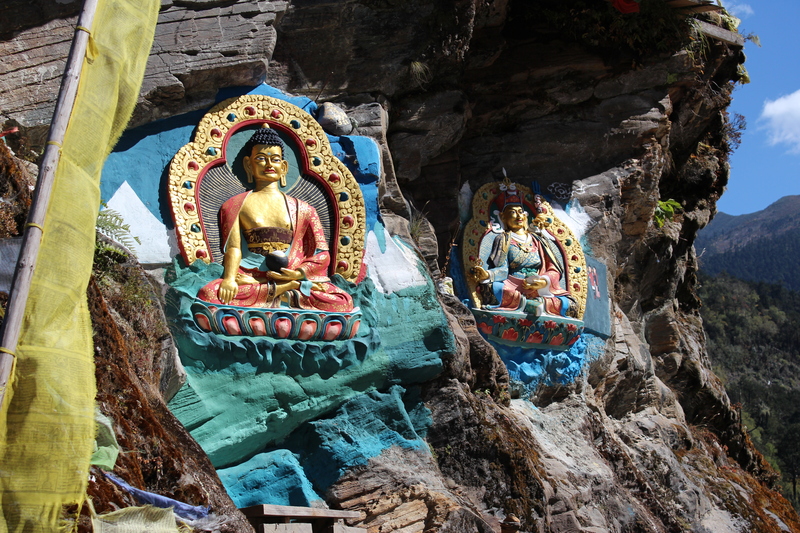 Visit Punakha Dzong, a former winter capital of Bhutan, located at the confluence of two rivers. 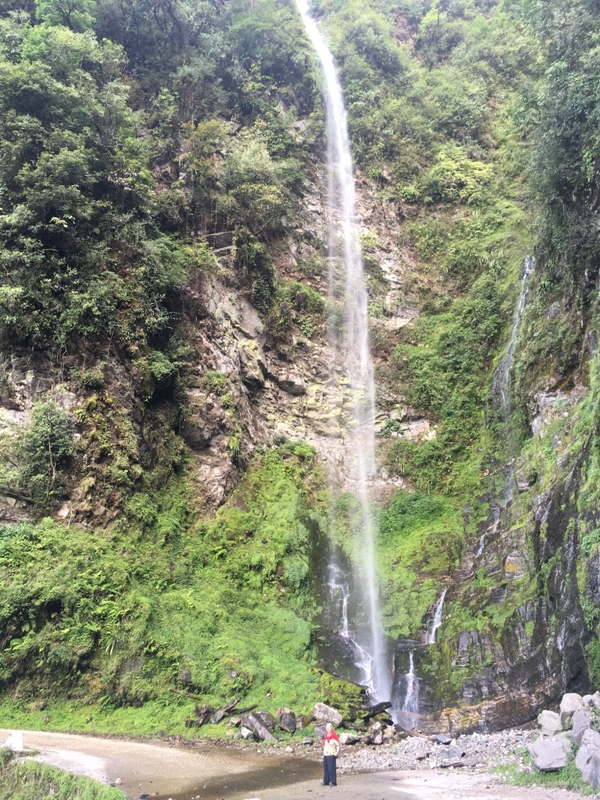 Then drive up to Dochula pass, where we stop for lunch and to get the panoramic mountain views of eastern Himalayan peaks (weather permitting). After arrival in Thimphu, visit some of the attractions of the capital, including the great Tashicho Dzong, which is the main seat of the Government. Overnight in hotel. Overnight in a hotel. 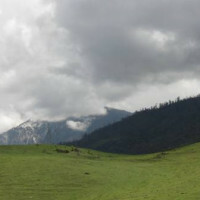 Tashi Namgay, Tenzinling, Olathang or similar. Short drive of about 1hr. 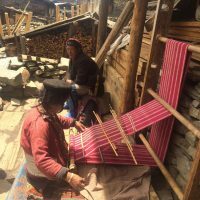 and spend the full day around charming Paro valley, where we visit National Museum, Rinphung Dzong and beautiful 7th century Kichu Lhakhang temple, Dumtse Lhakhang, Dzondrakha cave temples and local farm houses by short walks and drives. Overnight in hotel. 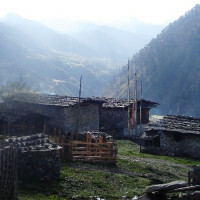 Trip Accommodation5 nights camping/village home stay combination, and rest in comfortable lodges. 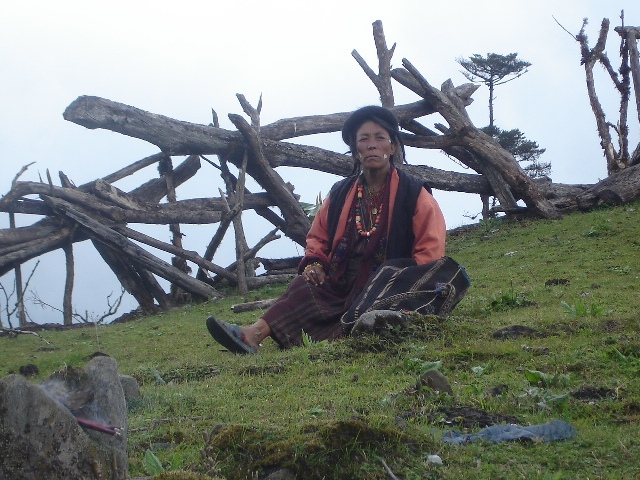 Trip SeasonsSpring and Autumn are the best months to do this Trek, also some festival align during this period. Starting from $3500 Per person. The cost is tiered based on the total participants. 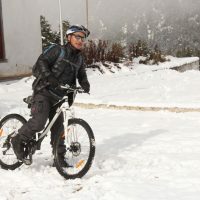 Ask for details..
For trek portion complete ranges of gears and accessories. They are fairly updated as we maintain upgrade regularly. 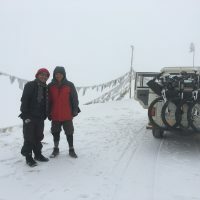 Hi Anand, - I think the trip went well. I did get sick at one of the hotels from food being incorrectly described. 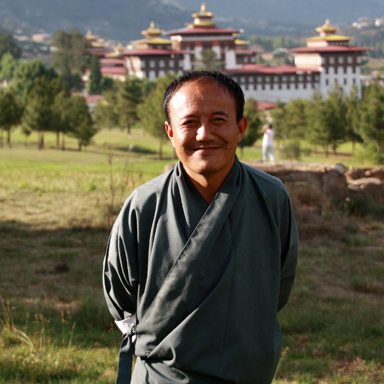 Pema said he told the hotels in advance of my Celiac condition, and I asked the woman serving the food if there was any wheat in a vegetable dish and she said no. I asked her to please double check. She said she asked the chef if there was any wheat in the dish and he told her no. I got sick that night and was sick for about a day and a half during the trip because of a mistake or a misunderstanding. I know this was not Wind horse's fault, but it definitely made for a bad day and a half for me. 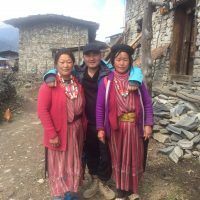 Regarding the trek, I enjoyed it, but when I read and heard about Merak / Sakten being remote, I didn't think of crossing farm roads and walking on farm roads made by heavy machinery and passable by cars and trucks. I know that the roads don't reach the towns yet, but in my mind the roads changed the character and scenic aspect of the trekking experience. When walking on old trails used by the locals and then crossing and seeing roads, I didn't feel quite the remoteness I thought I would. It may not bother some people, but when I hike and or backpack (trek) in the USA ( and in New Zealand and Nepal in the past) I don't encounter or see roads and that is what I am used to and expect. 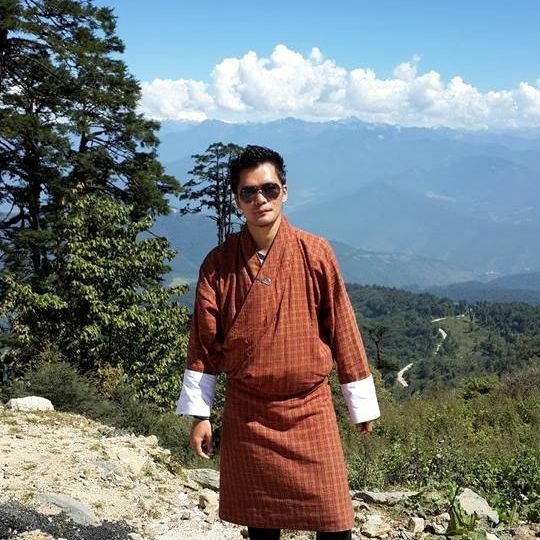 I understand that Bhutan is changing and that the roads are good for the local economy and make life easier for the people, it's just not my preference to see a hillside with a road nearby while trekking, nor do I prefer crossing the roads. 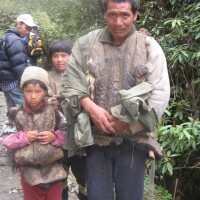 I wouldn't mind walking a short distance at the beginning or end of the trek on a road. But when I think of trekking, I don't think of roads. The two chefs did a very good job with the meals. The meat the last two or so days seemed a little suspect and we were not surprised by this considering there is no refrigeration or coolers for the meat. Not a big deal, but we didn't need fresh meat and perhaps dehydrated or freeze dried food could be used at the end of the trip. The horseman did a good job with the horses and we liked not having to carry all of our gear. Overall I enjoyed the trekking portion of the trip, but personally I might have better liked a trek that was not in an area with farm roads. 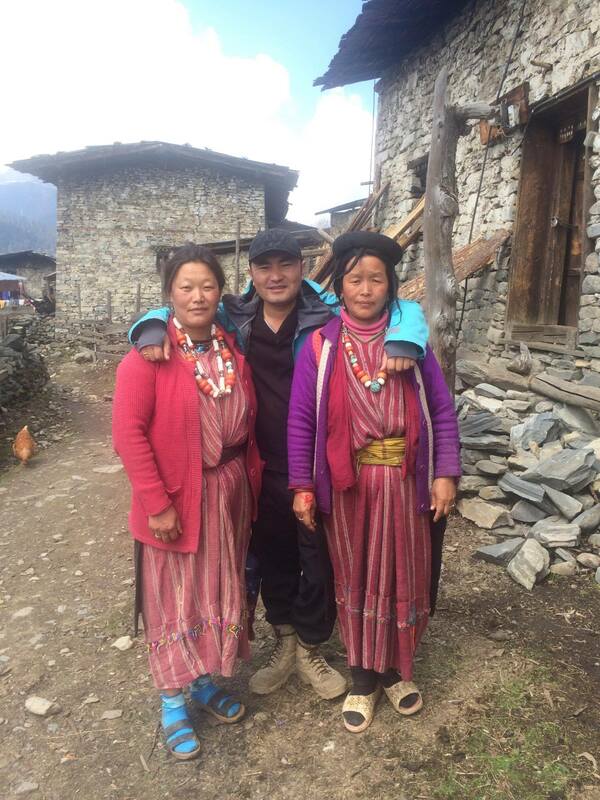 The rest of the trip went well and we enjoyed our guide Pema and our driver Dawa. 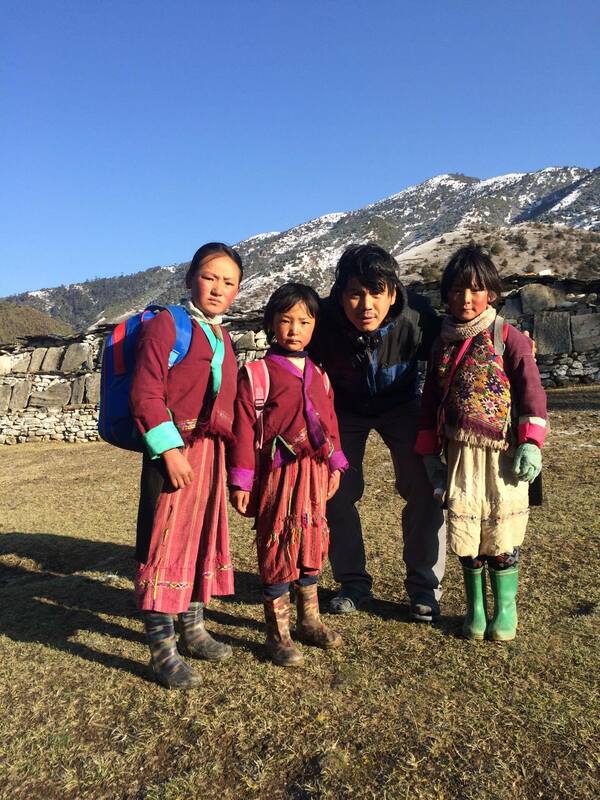 Bhutan is an amazing country, a country whose people, beliefs, kindness and true caring is hard to find when's travelling nowadays. 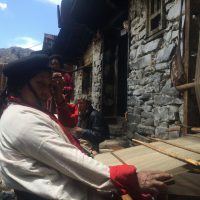 It is a country that is a perfect holiday for anyone with the right tour company to make the arrangements, we travelled with Wind Horse Tours, they are amazing!! !, going above and beyond. 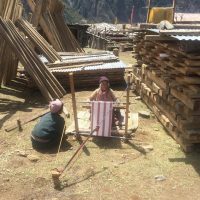 My husband and I travelled for 3 weeks in Bhutan, we travelled in the East to start, attending the Gomphu Kora festival, then we went on a six day trek to Merak and Sakteng. The trek was more than words can describe!!! We were looked after like royalty, every small detail was looked after and Wind Horse did an excellent job of changing the intinerary to better reflect what our needs were. 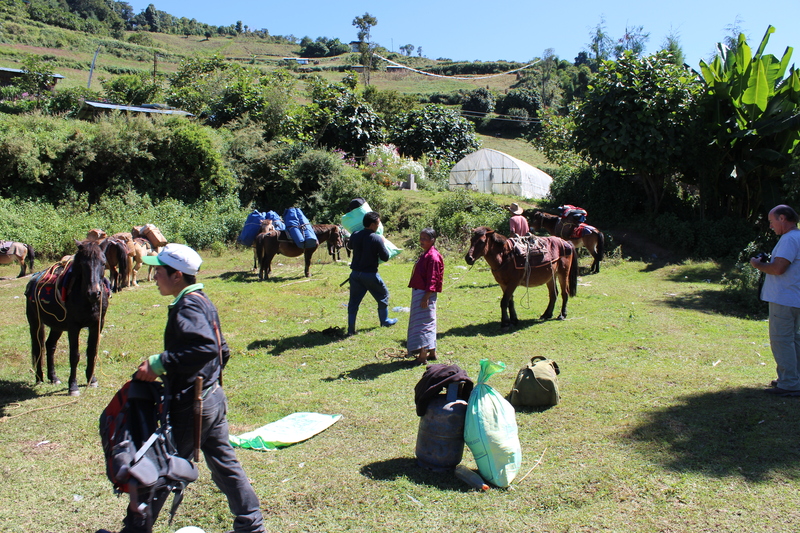 All the equipment was in great condition, and the Pack horses were in good shape as well. The meals were very satisfying and tasted superb. All of our needs and attentions were looked after. 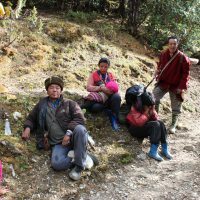 The trek was outstanding, every day , different flora and fauna, the Brokpa people were so very very interesting.we felt privileged to be there. 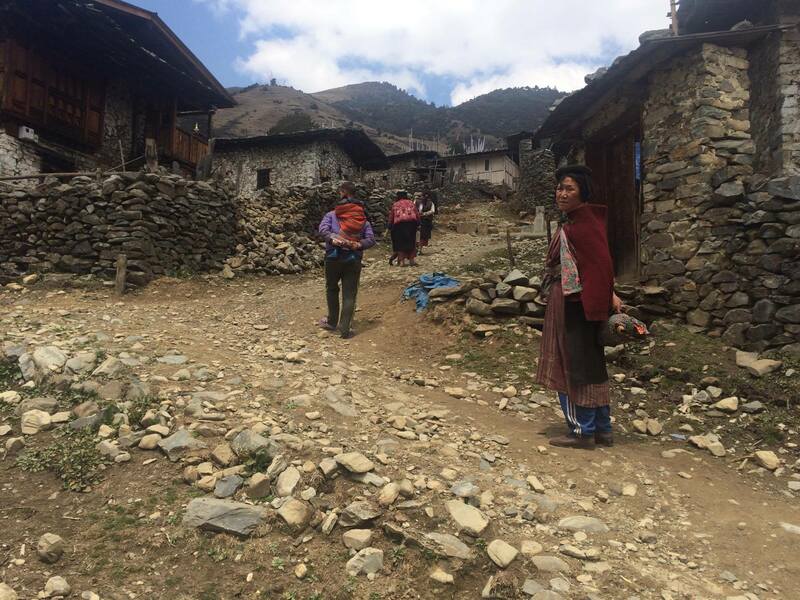 After the trek was completed we travelled from the East to the West,ending up in Paro, where we flew out with Druk Airlines. 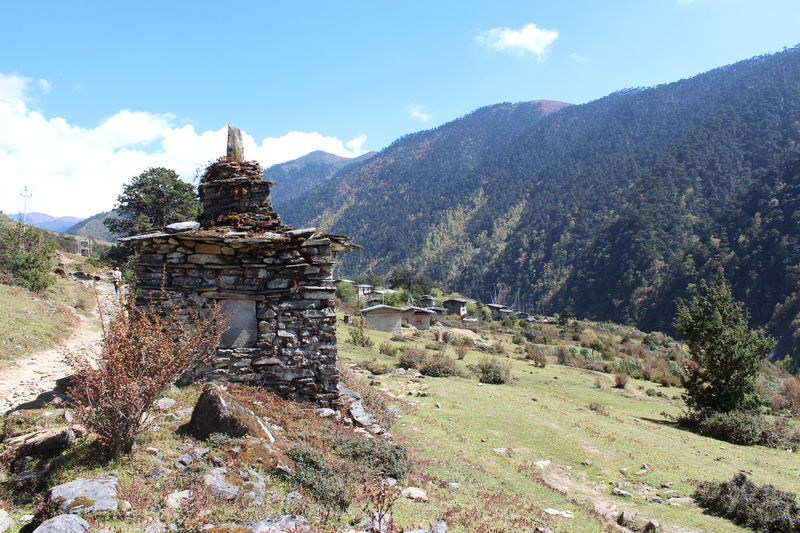 The country is filled with beautiful temples and breathtaking vistas. 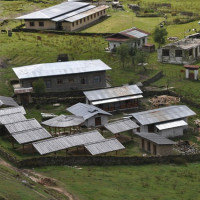 The accommodations were very comfortable and we always felt safe and secure. 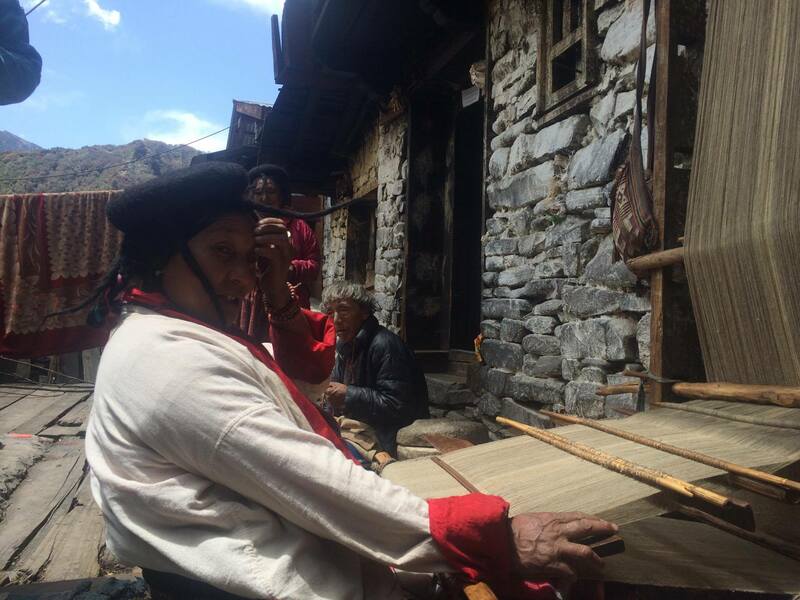 We felt honoured to be able to visit this country and be part of their traditions and beliefs, not just something put on for tourists. 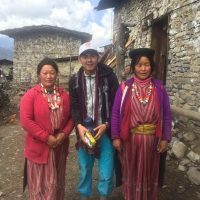 Wind Horse tours, from the very beginning of our travel planning, with their prompt and thorough replies, to their great group of working guides and careful drivers ( Pema , our awesome guide and Tinzin our very cautious driver) to their great choices for accommodations. 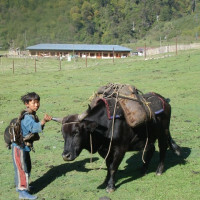 And restaurants are a top notch tour company, I believe the very best in Bhutan. 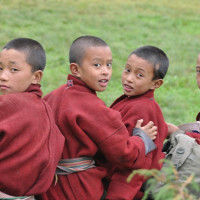 Travel to Bhutan ......don't just take a trip, ...let the trip take you. Dear Anand, Apologies for such a delayed reply. 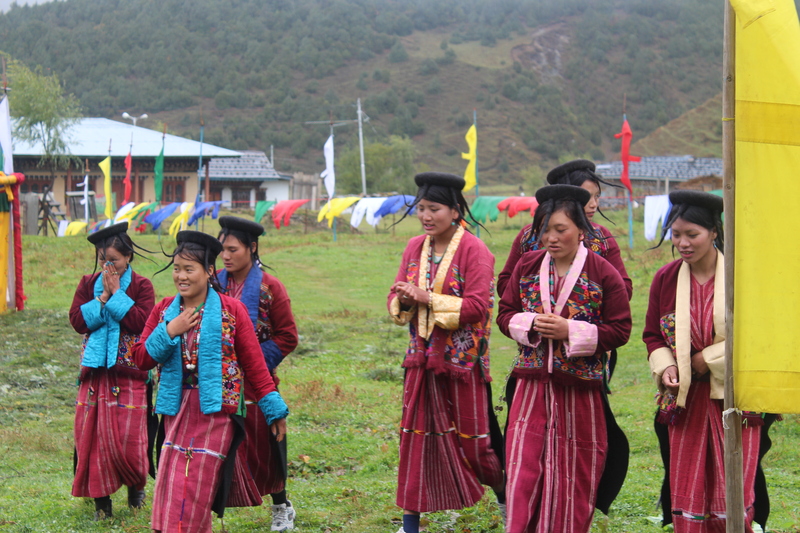 The Merak and Sakten trip was incredible, I daydream about my time in Bhutan all the time now when I should be working! 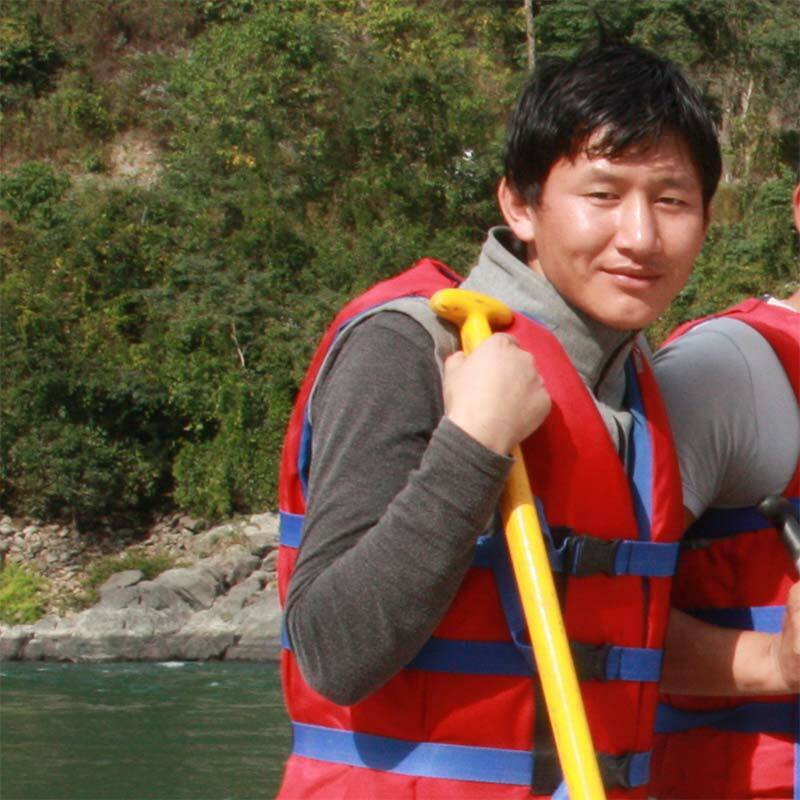 The driver, Chimi, and guide, Dorji, were friendly and welcoming and extremely hardworking - I feel very grateful to have met them. 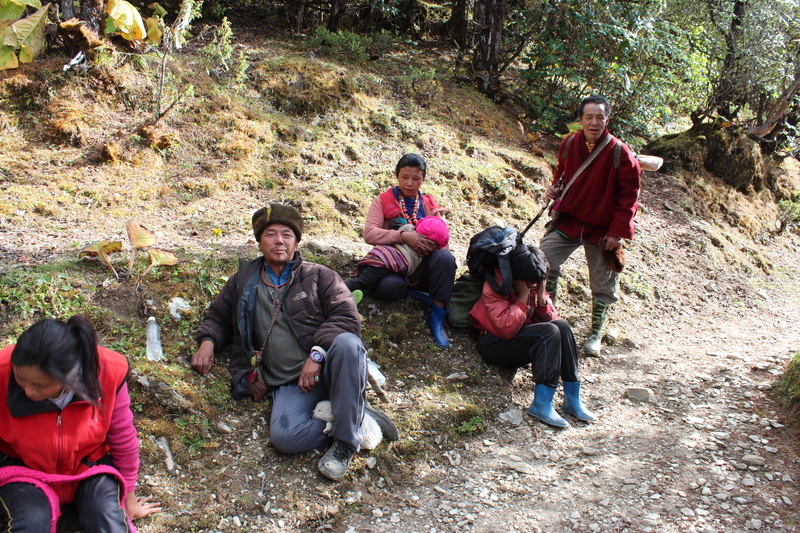 Our trek team were brilliant and so friendly. 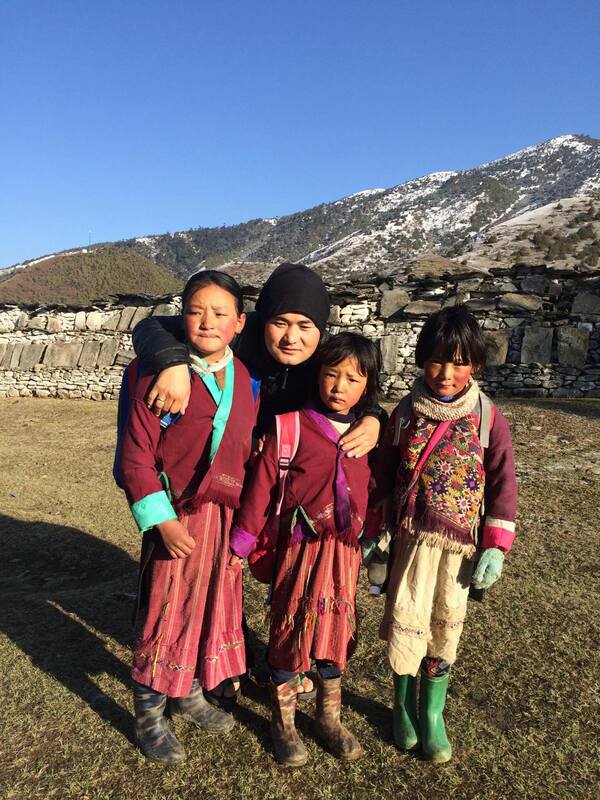 and The communities of Merak and Sakten were so special - I will never forget my time there. 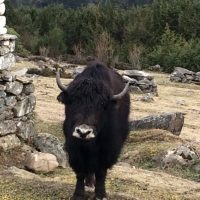 I am very interested in plants and birds so East Bhutan is the best place I have ever been to see so many different and rare species. 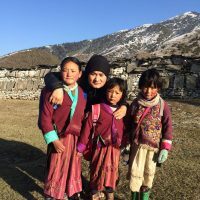 My only worry is that, because of Bhutan's organisation that you pay the same amount per day if you stay in a 5* hotel or a homestay that nobody stays in smaller guesthouses or with families. 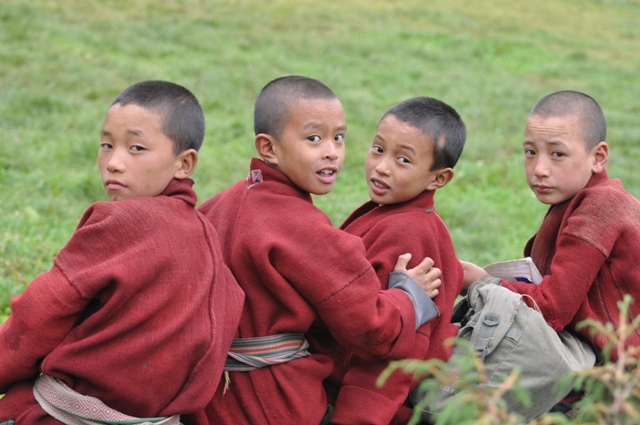 Our group were all quite young, but many people we met on holiday in Bhutan were quite old! 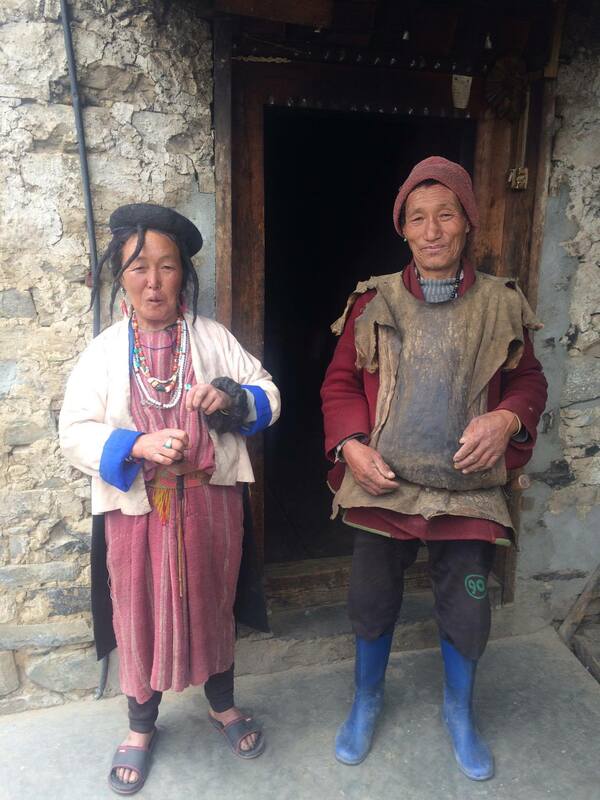 I really like to stay in homestays and in more simple accommodation - but I know lots of older people like luxury. But I worry that the big hotels are not very environmentally friendly and you do not get to know the people who work there. 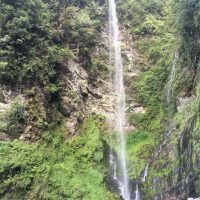 Maybe people who like nature might like to stay in homestays and simple accommodation - so this might be an option for people who choose to go on the Merak and Sakten trip. I hope this helps, please ask if there are any specific questions I can answer. Thank-you very much to everyone at Windhorse for organising our journey. Well I enjoyed the trip a lot. 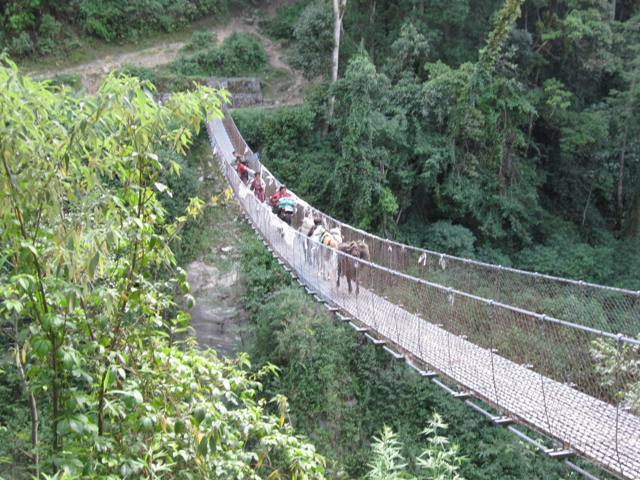 The trek was excellent and the staff were fantastic. They were always helpful, kind and patience and on top of that they were a lot of fun too! In general the hotels were good although there seemed to be a range of quality from basic (one occasion without hot water) to excellent and luxurious (hotel in Thimphu). The bus was comfortable and always clean, the driver was excellent too and we had confidence in his abilities, essential for those difficult mountain roads. Itinerary was mostly followed quite closely but we were allowed flexibility and generally everything worked well. Our guide was pleasant and always helpful. He was respectful and knowledgeable. On the trek some days were long and tiring but that was to be expected. The staff always were quick to set everything up and have tea waiting for us when we arrived. It was hard to estimate walking times but that is simply due to the variation that is found in people's natural walking pace. 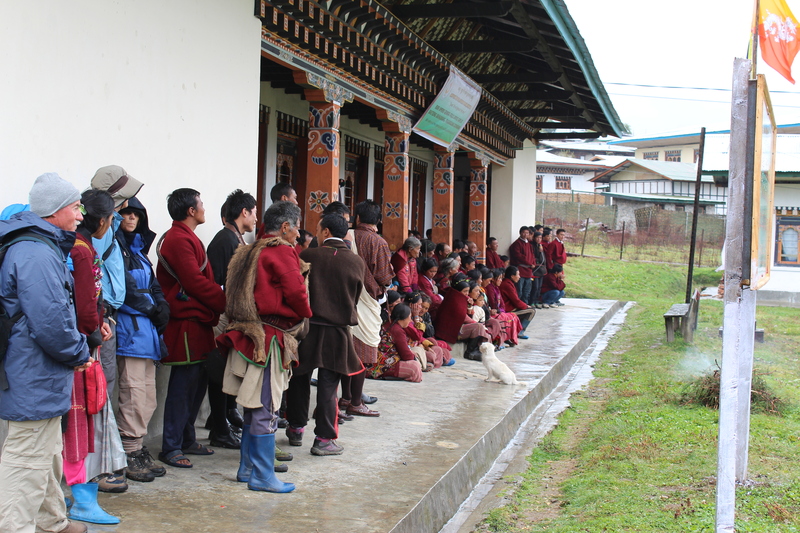 More information could be given about what is expected for visits from local people. 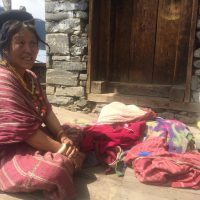 We had several visits when we entered villages, campsites etc, which was very nice however we felt compelled to give a gift of money and this made us feel uncomfortable at times. 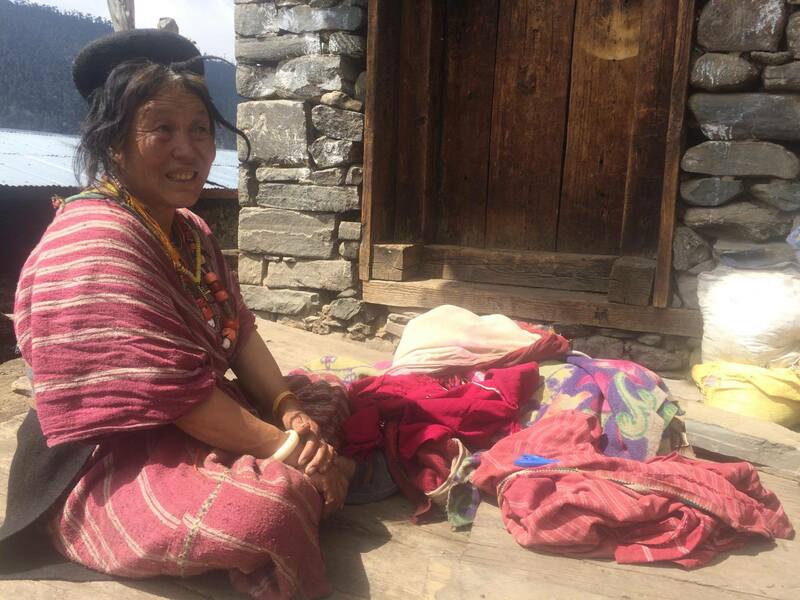 Some clear explanation before arrival in Bhutan could help others prepare for this situation and help allow preparation of gifts for local people that are not simply cash but other items (potentially items from client's own countries). 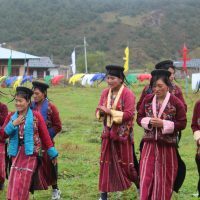 The festival in Jakar was certainly a highlight and personally I could have enjoyed more time here in order to experience this unique cultural event. All in all it was an excellent trip that I would really recommend to others considering it.